well-temperedforum.groupee.net The Well-Tempered Forum Off Key How's by you the weather? And how are you handling your home heating? How's by you the weather? And how are you handling your home heating? 23 below zero, flirting with Chicago’s coldest temperature ever: minus 27 on Jan. 20, 1985. 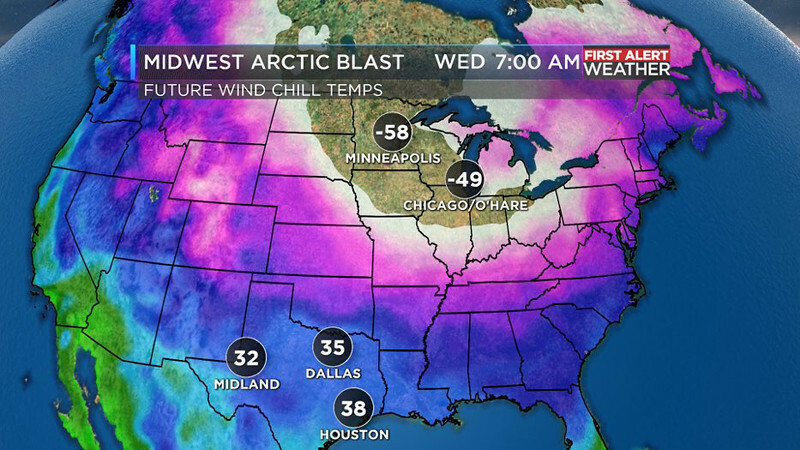 I don't mind a little cold weather, but this is borderline brutal. Really glad that both cars have new batteries. Even though they are parked in a (unheated) garage and somewhat protected, it still gets pretty damn cold out there. Those are maine-worthy temperatures - I am sorry you have to suffer through them! I worry about the homeless people and all the animals people leave outside. Coldest day I had to do barn chores in was -26, and it was no fun. Not real cold here but we're getting ready for five straight days of rain starting Thursday. We'll see if the hills hold. It's cold enough here to require blankets at night. If only it would rain for five days! I simply cannot imagine it. Really glad that both cars have new batteries. I had a great uncle who kept an early 60's Chrysler for winter use because it was a "good starter", presumably because his other cars were not. Are newer cars better about starting in cold weather? How cold? Don't batteries freeze below a certain temp? What happens then? Does it ruin them? I remember my Dad in Minneapolis bringing in the car battery for the night. Do people still do that? I have a copy of the contract and specification used to install the hydronic heating system in my grandparents' home in St. Paul in the early 1920's. The specification called for a system sized to provide indoor temps of at least 65F when the outdoor temp was -20F. 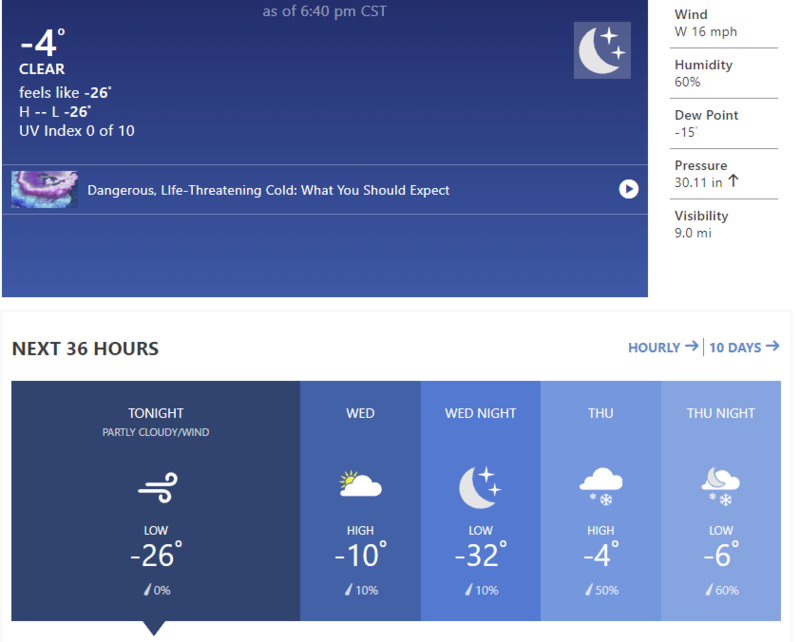 St. Paul is about to get colder than that. Has it ever gotten so cold your heating system couldn't keep up? My car lives outside - I'll let you know if it starts Wednesday... Just got a new battery in the fall, so it has the best chance possible. VW Passat; I do believe that newer cars do better with cold starts than what I remember growing up. I'm sure to get out Wednesday. I'm one of those "gotta give it a try" guys! It is supposed to be colder here than Antarctica tomorrow...Flannel-lined jeans, boots, good gloves and a coat that only gets pulled out when temps get crazy. didn't know the answers so I looked it up. great article. There are three main contributing factors that lead to batteries dying in the winter: reduced capacity, increased draw from starter motors, and increased draw from accessories. Interior lights left on aren't really an issue. When you go to start your car, the starter motor requires a tremendous amount of amperage to get going. Under normal circumstances, your battery will offer no complaints, as the ability to deliver a lot of amperage over a short period of time is one of the things that ancient lead acid battery technology is terrific at. However, a battery that is already getting long in the tooth can have a lot of trouble in the winter. And even if a battery’s capacity isn’t reduced by age, temperatures that are at or below freezing can even knock the capacity of a brand new battery so low that it can’t handle the demands of the starter motor. When you look at a battery’s vital statistics, cold cranking amps (CCA) is the number that refers to how much amperage the battery can put out cold. If the number is large, that means it is equipped to handle higher demands than a battery with a lower number, which in turn means that it will perform better in cold weather, when capacity is diminished. In some cases, especially in very cold weather, starters motor amperage demands can be even higher than normal, which can compound the problem. The issue is that motor oil gets thicker when the weather is cold, especially if you’re dealing with a single weight oil that doesn’t have different viscosity ratings for cold and hot weather. When the oil gets thick, the engine can be more difficult to turn over, which in turn can cause the starter motor to draw more amperage. Winter driving typically also puts a higher strain on your battery, due to the demands of accessories like headlights and windshield wipers that tend to get used more often when the days are shorter and the weather is more likely to be inclement. Unless you have a high-performance alternator, you may find your charging system struggles to keep up. And since the battery may already be suffering from reduced capacity due to cold temperatures, this can hasten the demise of an old battery. In the winter, one huge thing you can do in the winter is to keep your battery charged. According to Interstate Battery, a weak battery will start to freeze at 32 degrees Fahrenheit, while a fully charged battery won’t freeze until about -76 degrees Fahrenheit. We have forced air heat. Baseboard and radiator hot water heat are also common around here. I grew up with the baseboard variety and it was fine. Not sure about radiators. Last time it was this cold we were already living in this house. We had a totally inefficient 1960s vintage forced air furnace, original single pane windows, and lousy or non-existent insulation. 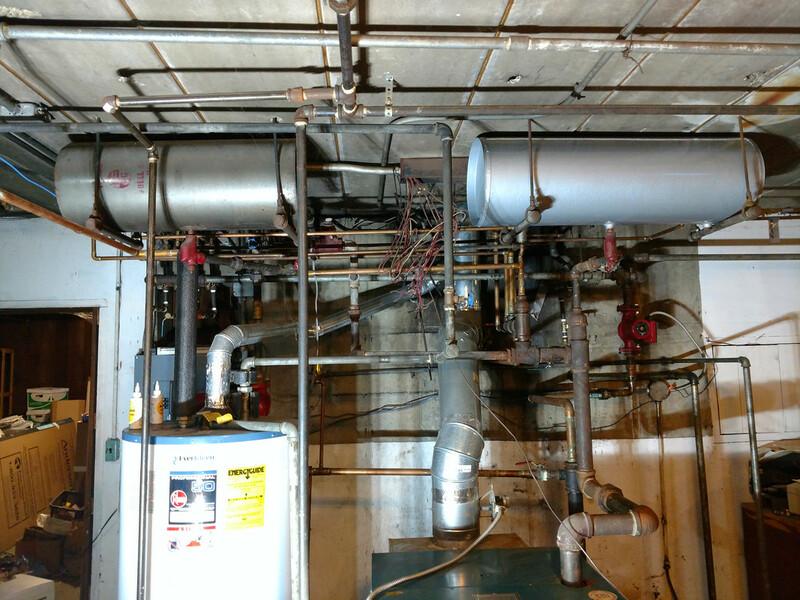 Furnace was able to keep up fine, though there were drafts near windows and areas that were lacking insulation. The coldest night I remember in NYS was -19. An outdoor cat followed me in the house and slept on the end of my bed. In the morning, he walked outside. He didn't look at me a single time. Cold follows anything that touches the ground, e.g. wooden beams, furniture, etc. I've experienced my share of Mid-Hudson River Valley winters, but this one night was memorable. Quick Reply to: How's by you the weather? And how are you handling your home heating?